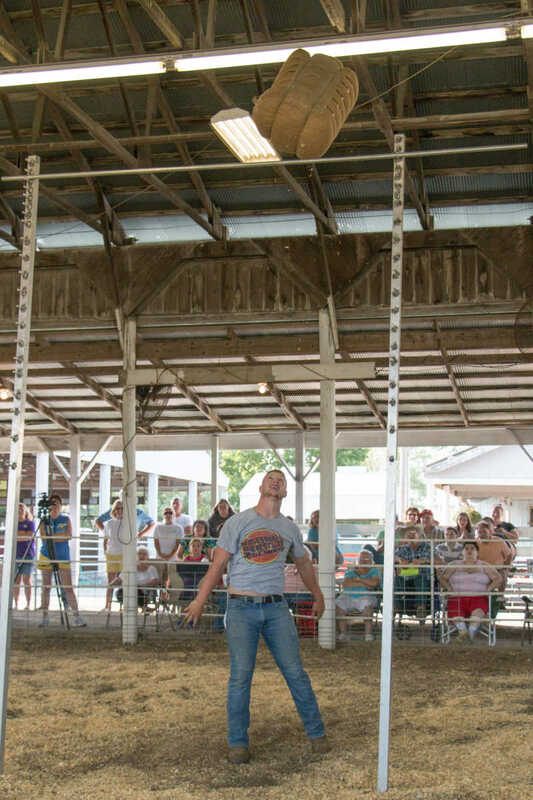 Jacob Johnson won the hay toss at a height of 11 foot, six inches. 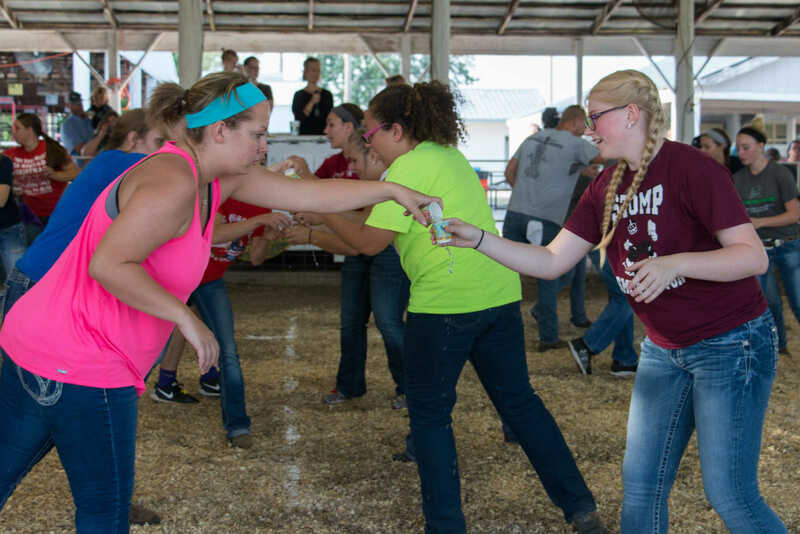 Shyla Fritts (left) and Charlene Pettibon (right) pass water from cup to cup during the water relay. 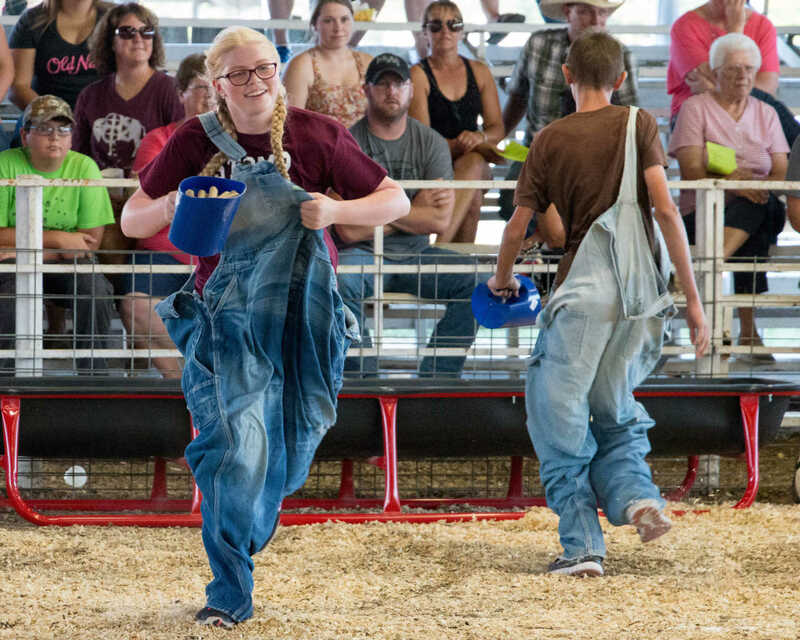 Katelynn Vandenburg (left) passes water to Sara Byers (right) during the water relay. 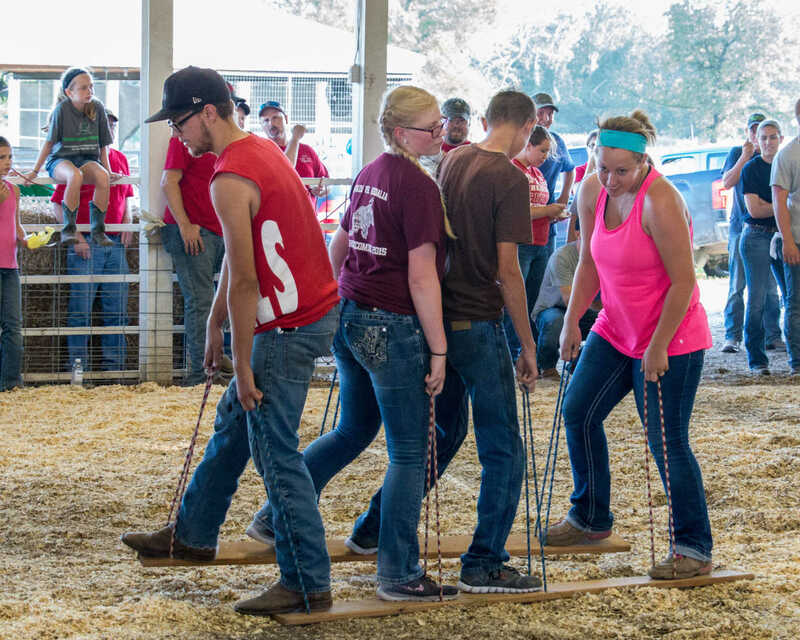 From left: Clayton Bogardus, Sara Byers, Lane Compton, and Katelynn Vandenburg during the land ski event. 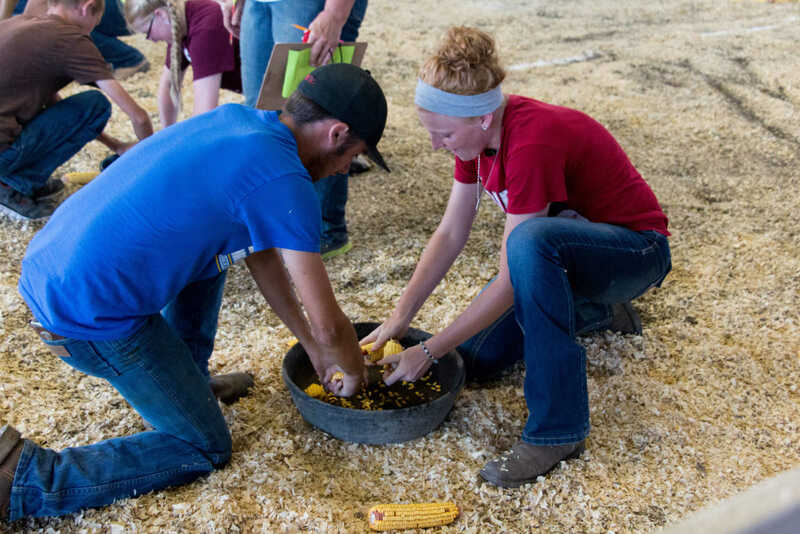 Aaron Gaines (left) and Charlene Pettibon (right) during the corn shelling event. 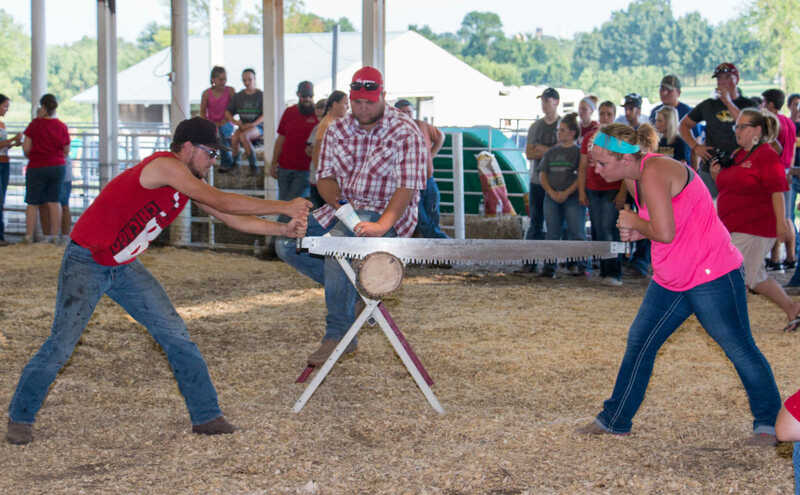 Clayton Bogardus and Katelynn Vandenburg during the two man saw event. 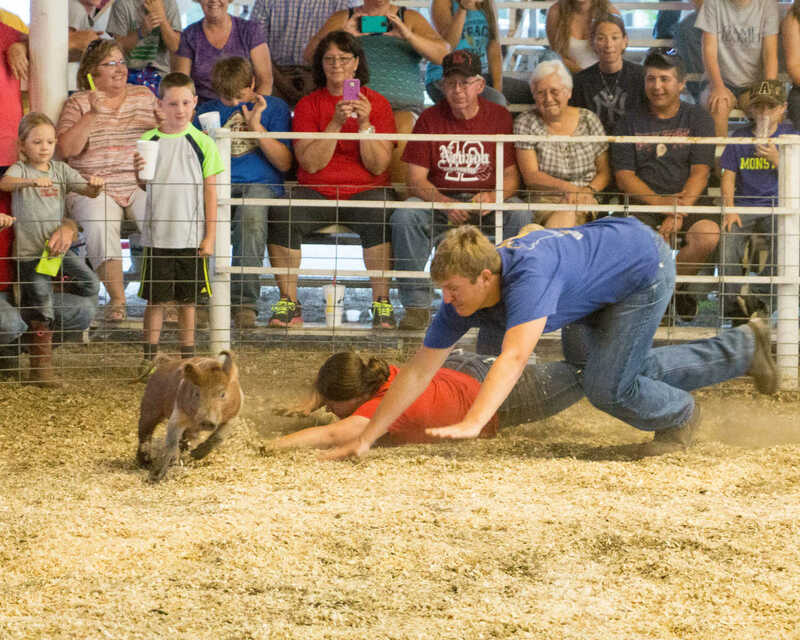 Sara Byers and Lane Compton during "chore time" carries field pellets from one end of the ring to the other. 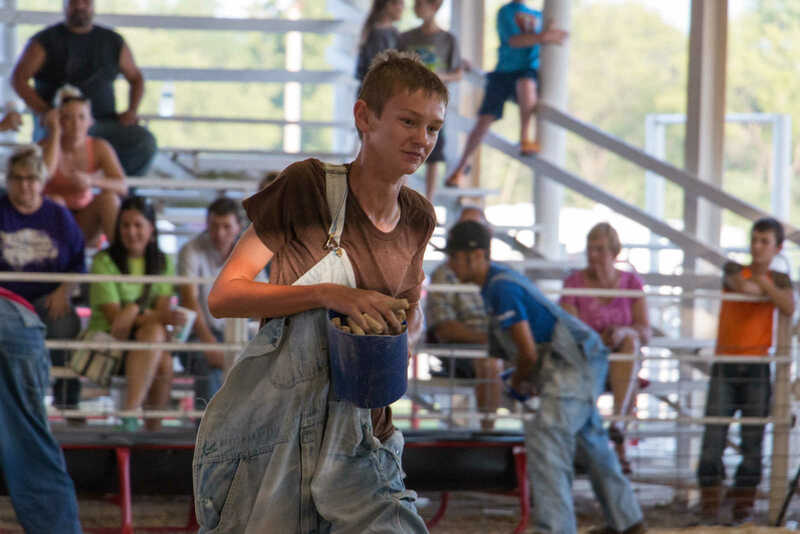 Lane Compton during "chore time"
Adi Wilson during "chore time"
Riley Gordon during "chore time"
Danielle Laning and Cole Ellis get a hand on their greased pig. 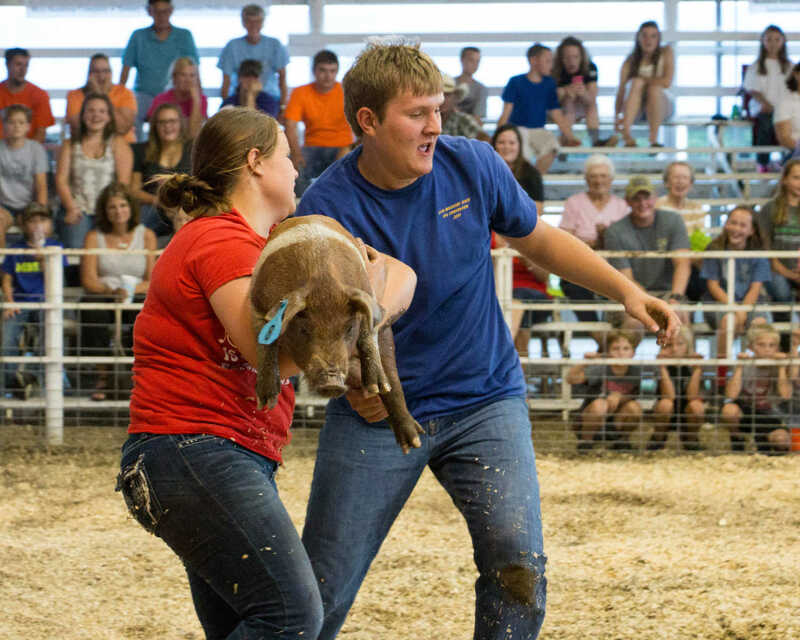 Four teams of two were in the ring for the greased pig event. 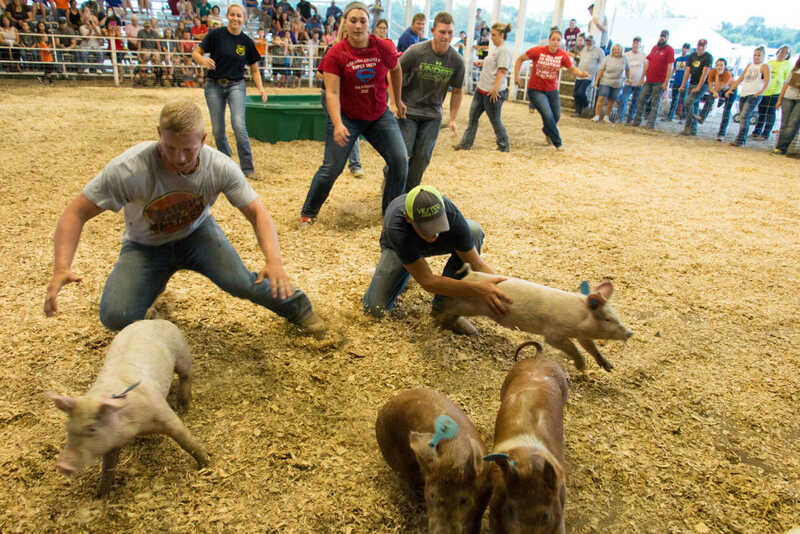 Each team had to find and catch their numbered pig and place it into the green feed bucket in the middle of the ring. 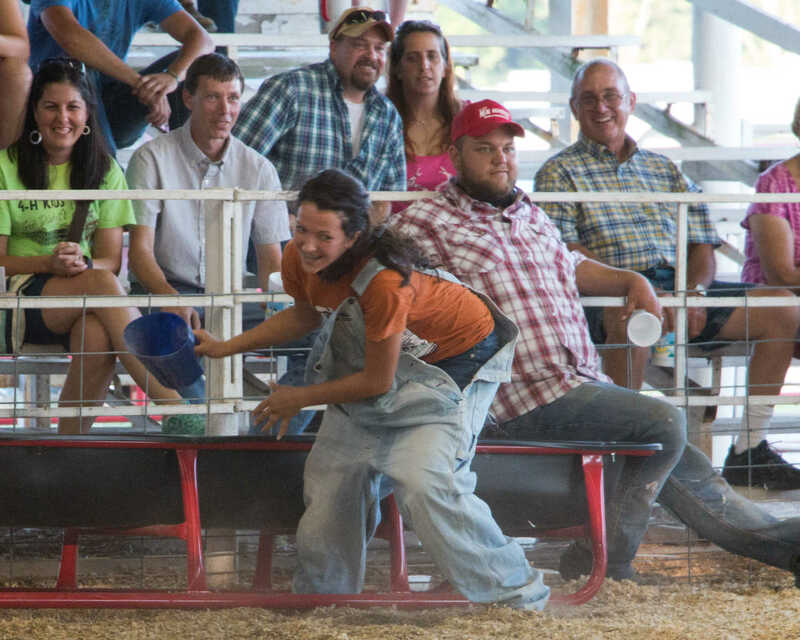 Each pig was thoroughly covered in grease. 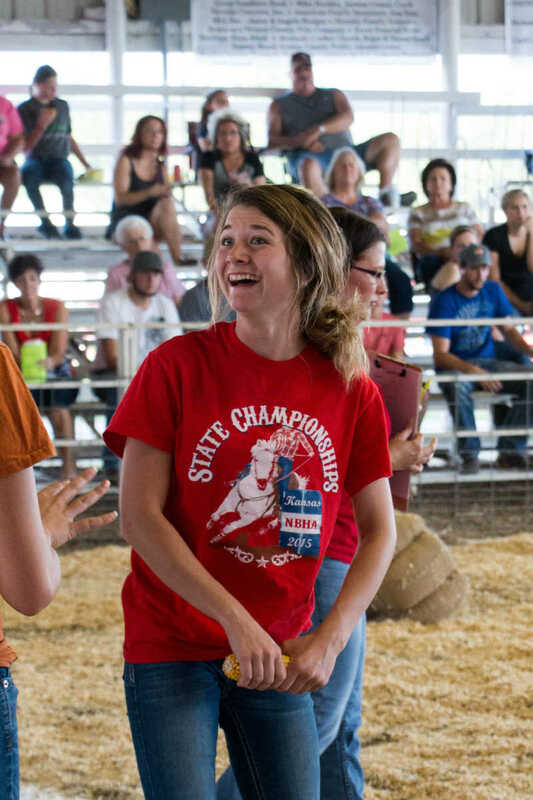 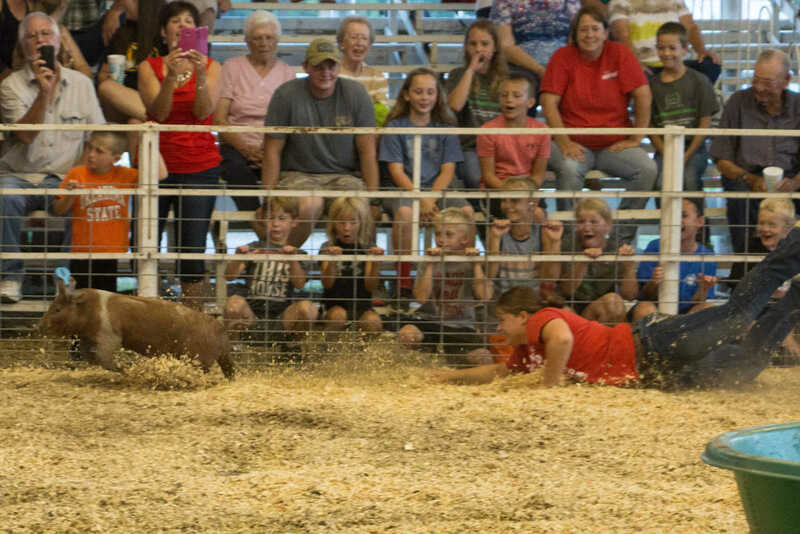 Excited kids look on as Paige Wait tries to catch her pig. 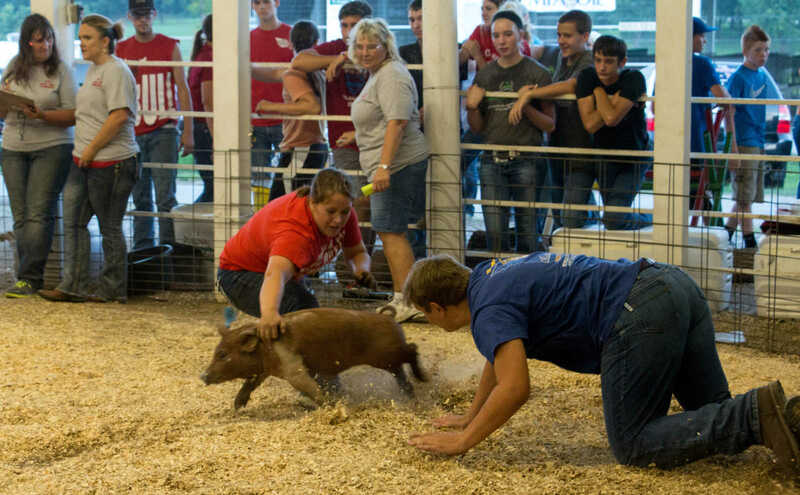 Paige Wait and Cole Diggins trying to get a hand on their greased pig. 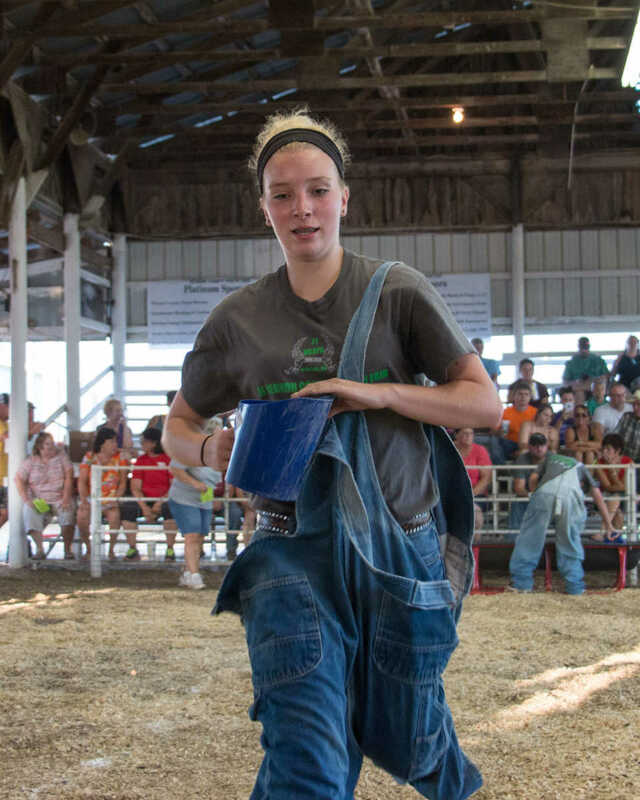 Paige Wait and Cole Diggins carrying their greased pig.